Nostalgically showcasing the worst excesses of organized crime when Mafia Don Raymond L.S. Patriarca controlled New England, Last Good Heist rehashes the bad old days of mobbed-up PVD, lately frequent fodder for true crime. 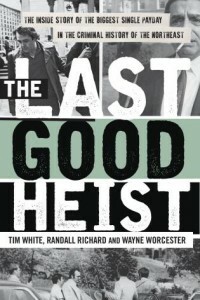 The 1975 Bonded Vault Heist, the subject of this book, has the entirety of Episode 4 of the podcast “Crimetown” devoted to it, quoting the book. It was the mob robbing the mob: a private stash of cash and loot, used by crooks supposed to be paying tribute and protection to Patriarca — who decided to punish them for non-payment. It’s hard to romanticize these people: luckless buffoons they may have been, but still ruthless, cold-blooded murderers.